The new Double Fine Adventure game which took Kickstarter by storm last week, raising a staggering $400,000 in less than eight hours and now currently sitting on a massive $1,851,334 in pledges with still 26 days to go. Over the next six-to-eight months, a development team under Tim Schafer’s supervision will develop the proposed classic point-and-click adventure. But where it goes from there will unfold in real time for all the backers to see. 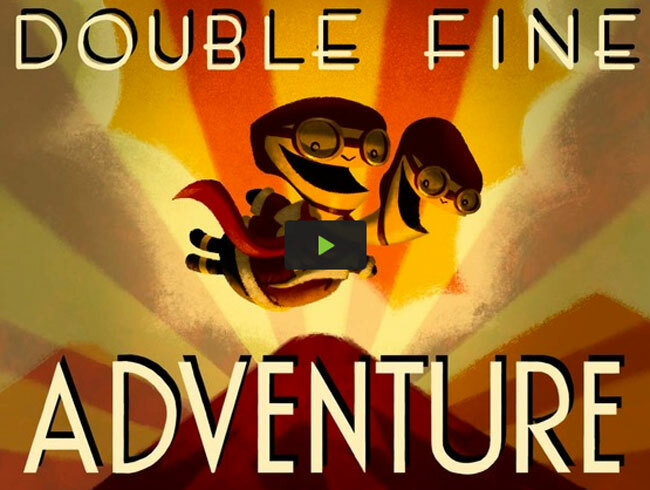 Watch a video of the latest update from Double Fine Adventure after the break. The beta version of the game once its complete will be rolled out to backers to view via Steam. There will be a private online community set up for the backers to discuss the project with the devs and submit their thoughts and feelings about the game’s content and direction, sometimes even voting on decisions when the dev team can’t decide. Once the game is finished, backers will receive the completed version in the available format of their choice.